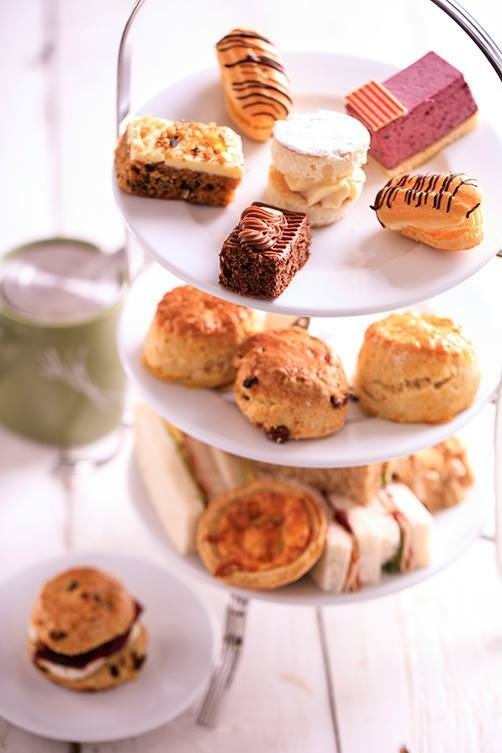 x1 Afternoon Tea: Patisserie Valerie’s lovingly handmade Afternoon Tea includes a range of traditional finger sandwiches, freshly made scones with jam and clotted cream, miniature patisserie bites and a pot of tea or coffee per person. x2 Treatbox: Patisserie Valerie’s Treatbox voucher allows you to choose four of your favourite lovingly handmade gateau slices to take away from any of their stores! Promotion opens at 15:30:00 on 26/03/2019 and closes at 23:59:59 on 01/04/2019. 1. This promotion is 1 x free prize draw operated by The Brewery Shopping Centre (‘the promoter’). 2. Entry is open to all customers aged 18 or over (‘the participant’). 3. The promotion excludes The Brewery employees and immediate family members of the Promoter, its agents, suppliers or anyone else professionally connected with the promotion. 4. No purchase is necessary, but there is only one entry per person. 5. To enter, entrants must fill out the web entry form on The Brewery’s website. 6. The winner will be selected at random from all valid entries received by 1st April 2019. The winner will be notified within 28 working days of the draw’s final entry. 8. The winner will have 28 days to accept the prize, otherwise the prize may be awarded to another entrant without compensation. 8b. Prize winner must have a photograph taken while collecting the prize for social media, website and future marketing purposes. 10. All images are for illustrative purposes only. 11. The prize is non-transferable, and it may not be sold or advertised for sale. 12. No cash or alternative option will be provided for prize. However, the Promoter reserves the right to substitute it with a similar prize of equal or greater value should it become necessary for reasons beyond their control. 13. The Promoter accepts no liability whatsoever for any losses of damage to the claimed prizes. This does not affect user’s statutory rights. 14. Except as otherwise required by law, the Promoter accepts no responsibility or liability for lost, late, damaged, corrupted or misdirected entries or claims and the Promoter is not responsible for any late or misdirected delivery of communications (email or otherwise), except in the event of willful intent on the part of the Promoter or its agents. 15. By entering you agree to the use of your personal data for the sole purpose of processing and performing this offer, for (direct) marketing and quality control analysis, for conducting market research and improving the Promoter’s products and/or services. 17. By entering this promotion, you agree to these term and conditions, which will at that time become binding between you and the Promoter. In the event of circumstances outside the reasonable control of the promoter, or otherwise where fraud, abuse, and/or an error (human or computer) affects or could affect the proper operation of this promotion or the awarding of prizes, and only where circumstances make this unavoidable, the Promoter reserves the right to cancel or amend the promotion or these terms and conditions , at any stage, but will always endeavour to minimise the effect to participants in order to avoid undue disappointment. 18. The Promoter reserves the right to verify all entries and winners, and to refuse to award a prize or withdraw prize entitlement and/or refuse further participation in the promotion and disqualify the participant where there are reasonable grounds to believe there has been a breach of these terms and conditions or any instructions forming part of this promotions entry requirements or otherwise where a participant has gained unfair advantage in participating in the promotion or won using fraudulent means. The Promoter will be the final arbiter in any decisions and these will be binding and no correspondence will be entered into. 19. Any question concerning the legal interpretation of the rules will be based on English law and the Courts of England and Wales will have exclusive jurisdiction. Now that all the dull stuff’s out of the way, good luck!